FOR SALE 1987 mazda rx7 ST-4/ ITS Priced to Sell!!! 1987 Mazda RX-7 with current NASA and EMRA log books. Car is very clean and never wrecked. The car is competitive with room for improvement and is easily converted to a variety of different racing classes. It is currently set up for ST-4 in EMRA, and PT-C/D with NASA. This car is neutral, dependable, easy on tires and fun to drive. Many spares are included with the car including doors, glass, control arms, rear subframe, sway bars, lights etc. The car was built on a RUST FREE lighter SE unibody with no sunroof from a GXL with the big 4 piston front calipers, 2 piston rears, and the 5 lug hubs, as well as the other GXL upgrades. Has one set of Hoosier rain tires on 15" Mazda wheels, one set of dry hankook tires on 15x7 O.Z. mesh wheels, and one set of stock 16" turbo wheels. Some specifics about the car..
Front Suspension:AWR shock tubes and hardware,Koni race single adjustable inserts,ground control camber plates,racing beat sway bar,adjustable end links,Eibach springs 425. Rear Suspension: AWR shock tops and hardware,Koni race single adjustable shocks,eibach springs 375,toe steer eliminator bushings,rear camber/caster adjusters.Full polyurethane bushings front and rear. Driveline: Falcon race clutch and pressure plate,NEW clutch slave and SS braided line. NEW 4.33 Ring and Pinion with LSD all new bearings, crush collar etc NEW Rear Mazda Competition differential mounts. Interior: Full custom Roll Cage with Nascar Door Bars, Momo Seat, OMP Steering wheel and spacer, Schroth Belts belts, Mesh Window net, Right Side Net, Autometer oil, water and Tach. Brakes:NEW Front calipers,recent Hawk blue Pads, F and R steel braided brake lines,Mazda Competition Brake Ducts and Backing plates. Any questions or for more pictures please email. Im sure there are many more things I have left out. I have owned and cared for this car for over 10 years. The car is available to see, and hear in LI, NY. This car needs a new home!! 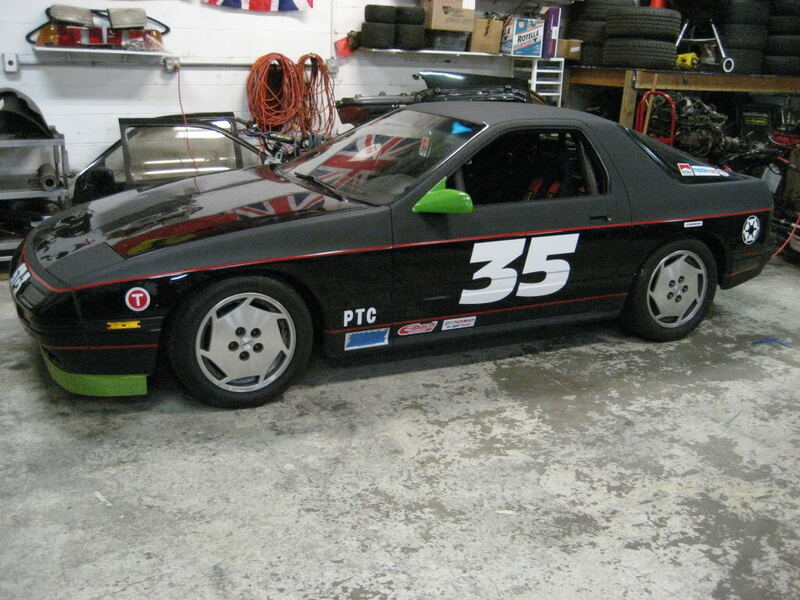 Re: FOR SALE 1987 mazda rx7 ST-4/ ITS Priced to Sell!!! good car at a good price.